Loooove, baby, love  thats the Fourth Chakra in a heart-shaped nutshell. It’s at the center of our chest, the center of our Chakra System, and the center of life, if you think about it. Called Anahata (Unstruck), it’s the clubhouse of love, benevolence, forgiveness, will power, self-empowerment and self-love  which is not a dirty word; it’s vital. Make sure it’s in there. 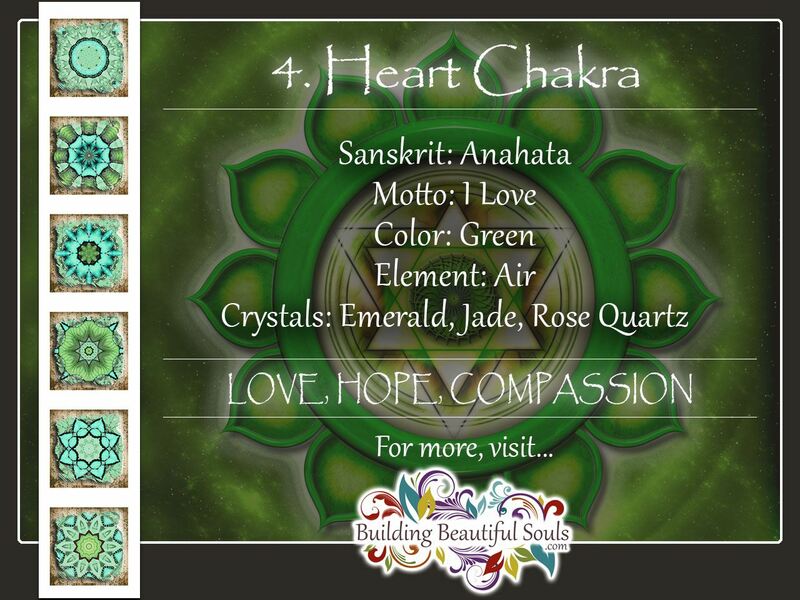 The Heart Chakra  think of it as one of those little garden trellises with all the roses climbing on it. It’s the gateway between the three lower Chakras, which handle the matters of the physical world, and the three upper Chakras, which are all about the world of the higher dimensions, or spirit. It’s also the Combo Chakra. Spirit and form are a partnership; you have to love both in order to be fully functional (thank you, Data). This of it as the Alchemy of Life. Kwan Yin, the Bodhisattva of Compassion, holds her little bottle full of the Tears of the World that she converts to sweet water, no matter why the tears were shed. It’s all about unconditional love — so Compassion (the idea of I am You) is also front and center for this central energy wheel. When the Heart Chakra is healthy, then so are your emotions. You find it easy to love. Life encompasses lots of people, nature, animals. You see beauty. 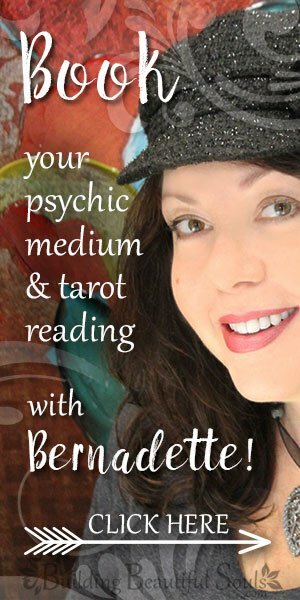 You welcome new relationships, and your shields  that emotional energy of protection we all have  stay down most of the time, only coming up when things are really dangerous or unhealthy for us. Youre generous, and you find it easy to forgive someone when it’s best for both of you. Broken heart  how often have we heard that phrase? It’s literal, when it comes to the Fourth Chakra. Of course the Fourth Chakra governs the heart (no-brainer, that one), but it’s also in charge of your thymus gland, lymphatics, lungs, arms and hands, immune system and breast. So if this Chakra is not functioning well, it can open you up to a raft of cardiac problems including high blood pressure, circulation that doesn’t work, shortness of breath and chest pains, not just a heart attack. You can get the big-time immune system disorders (think AIDS). And of course, breast and lung cancer can rear their nasty heads. Not only that — when your Heart Chakra is unhappy, well, so are you. When it’s too closed off, you feel like youre wandering around in the Valley of Lonely. You take refuge in your head, not your heart, so you dont feel things. Forgiveness? In your dreams, baby! No way. If it’s too blown open, then everyone else gets to mark your Report Card. You think THEY can tell you what youre worth, not you. It’s all about what THEY expect, what THEY want. Sane judgment is out the window; everyone is a big fat failure, including you. And oooh, that Green-Eyed Monster  Jealousy is green eyed because thats the color of the Heart Chakra, and it’s way out of balance. And if all that doesn’t give you heartburn, I dont know what will. Let’s love that Love Center back into harmony. And the best way to do that? Let yourself BE loved. When I’m in the Fourth Chakra Funks, I go grab my cats. Pets are unconditional love. You’re their Person, and that’s all they need to know. Go outside; trees and grass and mountains and birds are all pretty unconditional, too. Theres a REASON hugging a tree became a cliché, you know  cause people DO it. Do a write-and-burn. That’s where you write down all the things you want to let go of emotionally  old grudges, bad memories, times you beat yourself up like a human Cuisinart. And after each one, you write “I forgive you”. And then you BURN that sucker, outside or in the fireplace, and let the smoke and ask take away all that nasty gunge that blocks you. Green, of course, is your friend. (So is pink, in this Chakra, but green’s the major leaguer here.) Lots of green foods here  vegetables, salads. Add some marjoram and rosemary in for flavor. Drink limeade. Burn green candles as you soak in a warm bath. Maybe have a CD playing of forest sounds, to get you thinking like you’re a wood nymph there. Have a cup of chamomile tea with you. And oh, the wonderful essential oils that can help you out of your Fourth Chakra Funk! Angelica, bergamot, eucalyptus, frankincense, holly, hyssop, jasmine, lavender, neroli, pine, poppy, rose, or sandalwood are all luscious. But not all at once. And while you’re in there, think about a few Heart Opening Mantras. I give and receive love easily. I release old emotions, healing old wounds. I shine, and my heart shines with me. Life is beautiful, and I embrace life fully. Once we’ve got the Heart Chakra healed, how to we keep our ticker ticking? Visualize your heart. What color is it? Healthy pink? A little murky? Surround it with a cool green mist, soft, fragrant and nurturing. Think of the green as Miracle Gro for your Fourth Chakra. Keep loving that little Pitter-Pat Machine until it glows like a full-blown rose in your garden. Wear green  whether it’s a freaky lime, or cool emerald, or that dark warm pine color, find a green that you love and that makes YOU bloom. Find a way to do small, kind things for yourself. Be gentle. Boy do we beat up on ourselves these days, almost like we want to do it before the world gets in its licks! But when you feel your heart racing (in a not-so-good way) remember that you deserve kindness. Slow it down. Stop with the should’s. Remember that you can’t give to others until your own tank’s full. We always like Yoga asanas for balancing and realignment. First off is the pose called Anahatasana (Heart Chakra Pose), of course! The Camel and Cobra asanas are also good for opening the chest, as is the simple act of slowly reaching for (and maybe touching) your toes, and breathing easily and deeply. And who doesn’t LOVE gorgeous crystals? Open that Heart Chakra with these luscious stones. In no particular order of Awesome, we suggest Aventurine, Emerald, Green Jade, Green Quartz, Jade, Malachite, Moss Agate, Peridot, Pink Sapphire, Rose Quartz, Ruby Zoisite, and Tourmaline in shades of green, pink or watermelon. When your Heart Chakra’s humming, then the world is your friend. You savor the beauty. You wake up wanting to be part of the world. You’re connecting with Spirit all through the day. You make magic anywhere you go. Because you’ve asked yourself all those questions, right? And in this case, no matter the question, Love’s the Answer.